In the event of your untimely death, the manner in which your beneficiaries — or those people who receive your assets from your estate — are determined is highly dependent on how your property is titled. Generally, property with title includes vehicles, boats, airplanes, real estate, bank accounts, savings bonds, life insurance policies, retirement accounts, and stock certificates. 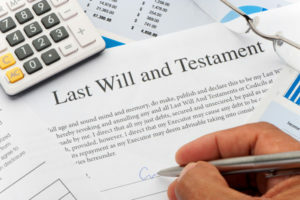 If you die without a will or a trust and haven’t used any beneficiary or transfer on death options, state law will determine who inherits property with a title. On the other hand, property without a title, such as jewelry, antiques, art, and even your digital assets are usually provided for in your will or trust, and if you don’t have one typically goes to your heirs at law. As you can see, who you have listed as a beneficiary — and not having a beneficiary designation at all — can have serious implications for your family after you have passed away. Increasingly, a wide range of financial products allow you to name a beneficiary upon your passing. The benefit of naming a beneficiary is that the assets go directly to the named beneficiary upon the account owner’s passing, often bypassing the long and expensive process of probate. The danger is, however, that when these designations are not carefully coordinated with your estate plan you can inadvertently disinherit a loved one, cause a disabled family member to lose government benefits, leave your heirs with a massive tax bill, or otherwise fail to achieve your goals. Simply put, a beneficiary designation is a contractual agreement where the bank, insurance company, or financial company agrees to pay a person or entity, that you have selected, the specific assets upon your death. For example, Bob may list Susan, his sister, as the payable on death (POD) beneficiary for his savings account at ABC Bank. When Bob dies, ABC Bank will pay Susan the balance in Bob’s account, without Susan having to first go to probate court. But properly choosing a beneficiary and making sure it falls in line with your estate plan is often more complex than it seems at first glance. Completing a beneficiary designation form is not just a routine task that you complete when filling out your bank account, life insurance, or human resources documents. In fact, naming beneficiaries is something that you should take very seriously and should consult your estate planning attorney about. For example, let’s suppose that Bob’s will stated that his entire estate is to be given to Elizabeth, his daughter. Since Bob used a payable on death beneficiary designation on his ABC Bank account, that asset will instead go to Susan, not Elizabeth. In other words, if you name one relative to inherit assets in your will or trust, but some of those assets have someone else listed on the beneficiary designation, then your entire plan isn’t going to work as you likely intend. For this reason, it is vital to ensure that your beneficiary designations are coordinated or aligned with your estate plan in order to fully protect you and your family. Of note, many beneficiary forms have a designation for contingent beneficiaries. A contingent beneficiary is basically a “Plan B” to your initial designation. So, in the event your primary beneficiary passes away before you, the contingent beneficiary steps in their place and gets their share of the asset. The best strategy for ensuring your wishes are carried out is to first understand how naming beneficiaries has a significant impact on your heirs and then coordinate your wishes with Corey A. Rasmussen, our estate planner (913) 871-2188. We are here to help you coordinate all of your assets and beneficiary designations with your estate plan so that everyone gets the protection they deserve.